Little more than a scribble. The mustache is an afterthought. Not a great likeness. I can tell the year because of the mustache, and the lab coat. Maybe it’s not obvious to you it’s a lab coat, but it’s sure obvious to me. Joe Crawford blogged this at 11:50am in 2005 in August. The 26th was a Friday. You are reading this 14 years later. Comment. There are 4 comments Tweet. Send email. It has hashtags→ drawings memories . 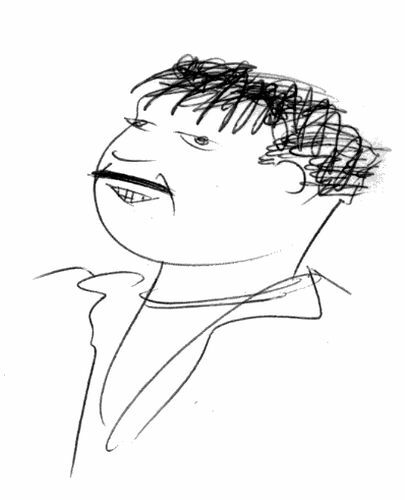 This self-portrait is accurate in the same way that the Scooby Doo rendition of Gomez Addams (http://www.execulink.com/~joelb/scooby/episodes/nsdm/pics/adamsfam.jpg) is accurate. Which is to say that it’s not. Tom – I think you may be on to something. 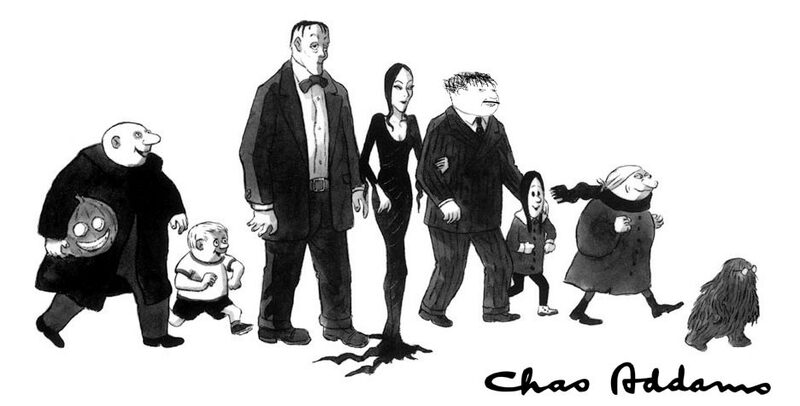 Check out Artlung Self Portrait making a cameo in a Chas Addams piece.